Laura Black – lives in Key West, Florida. She moved from NYC in 1997 lured by the warm tropical weather and amazing art and music community. Laura‘s a full time musician and artist. Basically self-taught, she paints with acrylic using deep, intense colors. 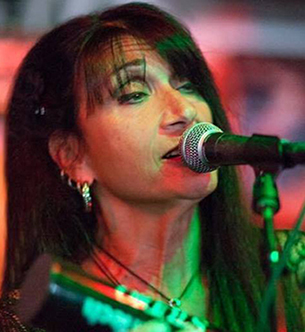 Her love of Key West and the Florida Keys is evident in her art, as well as her songwriting. The fun and laid back Keys lifestyle inspires her joyful interpretations which capture the beauty and quirkiness of Key West in her art and songwriting. She paints mainly on canvas, board and driftwood. She paints Key West Scenes: Key West bars, restaurants and historic buildings, the iconic Key West Roosters and Chickens and Key West's most well known and appreciated flowers, plants and trees. Her painting of the Hemingway House was used as the cover of the Hemingway Museum Cat Book and her art also graced the cover of Key West Magazine twice. She has sold her work at The Anne Mckee Art Auction for the past 7 years to benefit other artists and participates in juried shows including, “From a Woman’s Hand” put on by SoDu Gallery in Key West. Laura also displays her art at member shows for Florida Keys Council of the Arts at the Gato Building and at the Studios of Key West (TSKW.org) members shows. 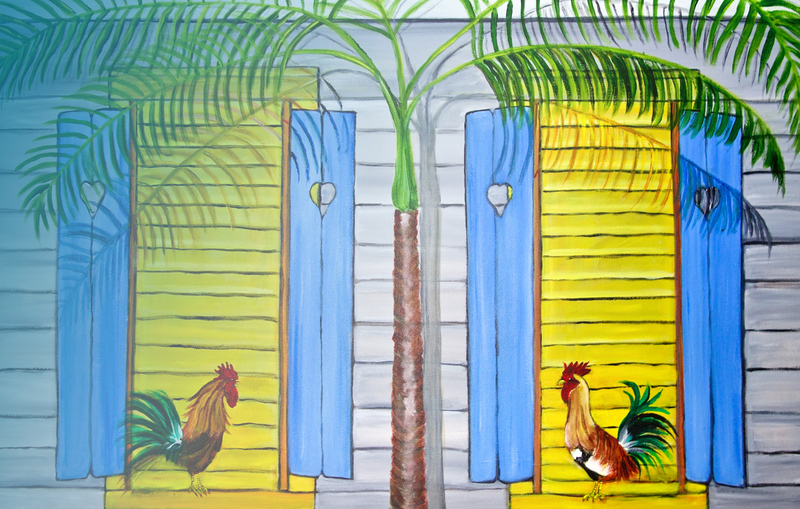 When in Key West, visit Blue Heaven, Green Parrot and Hemingway House Museum gift shops for prints of Laura's paintings. Tropical Matted Prints of her paintings along with originals are available at Key West Artworks. Laura also has a series of paintings and prints from Sedona, Arizona. She has been inspired by the beauty of such magical places and it is reflected in her work. Also, check out Laura and Russ Scavelli’s music site at www.blackandskabuddah.com for their gig schedule. 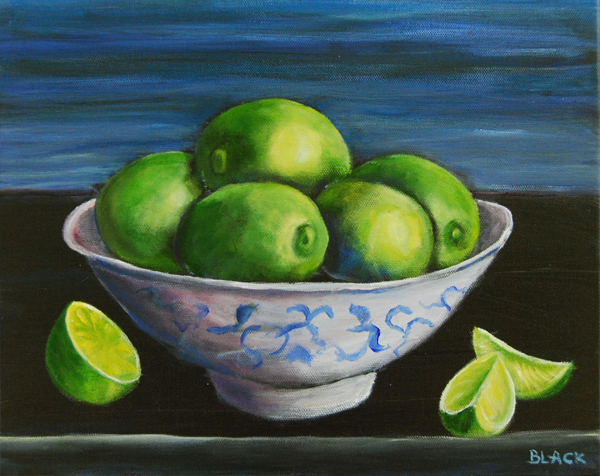 Laura’s Gallery of Tropical Key West Art prints are available for purchase on her ETSY Store. All Key West Art prints were made from Laura’s original Acrylic Paintings. They all come matted, with a variety of sizes and colors available based on each painting’s original canvas size. All are signed by the artist Laura Black. You may contact Laura directly to request additional information, or to purchase any of the paintings displayed in the Galleries on this website. Follow Key West FLA Art by Laura Black on Facebook!